Suntory's Yamazaki distillery won the Best Single Malt Whisky prize at the World Whiskies Awards in London last night, while Nikka whisky's Taketsuru 17-year-old won the Best Blended Whisky award. These double scoops of both the single malt and blended categories are getting to be a bit of a habit for Japanese whisky. They did it in 2008 and 2011. It was the second year in a row that the Yamazaki distillery won the single malt prize, after its superb Yamazaki 1984 won last year, and it is the fourth year in a row that Nikka have won the blended whisky prize. 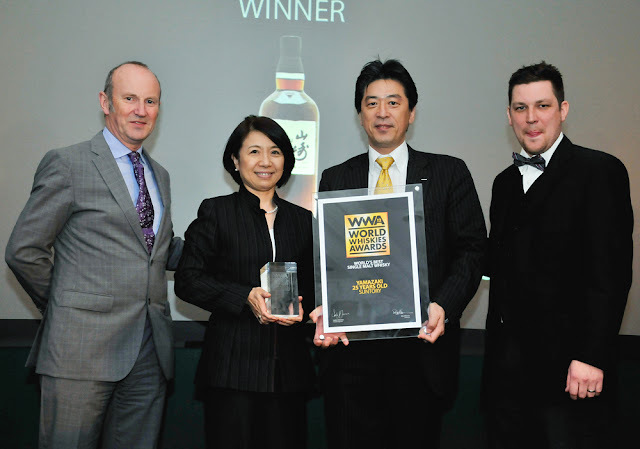 The Yamazaki 25 also won the best Japanese whisky category this year. 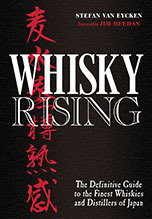 For more details of the competition visit the Whisky Magazine site. 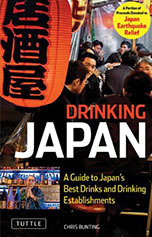 There are many drinks prizes and I don't follow all of them very closely, but I do always wait for the World Whiskies Awards, partly because of their historical significance for the Japanese whisky industry. It was a forerunner of this competition, run in Whisky Magazine, which turned heads in 2001 by naming a Japanese whisky the best in the world. That has now become almost routine.